3/8" GLAZED PORCELAIN TILE. IT'S WATERPROOF, FREEZEPROOF AND WEATHERPROOF SO IT'S SUITABLE FOR ALL YOUR INDOOR AND OUTDOOR PROJECTS. SOLD LOOSE BY THE 1 LB. 450 TILES PER LB. APPROXIMATELY .75 S.F. PER 1 LB. 625 TILES = 1 S.F. 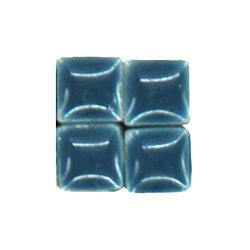 TILE SIZE: 3/8" X 3/8" X 1/8"